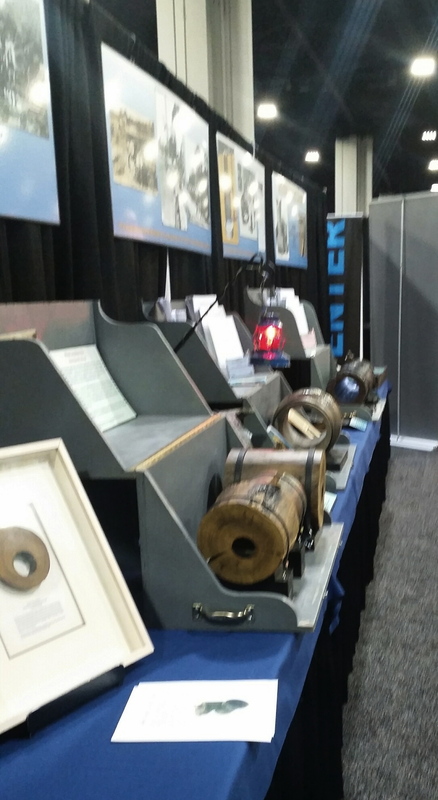 California Pipe Bursting Manufacturer, TRIC Tools, participated in Atlanta's UCT Show. Brennan (center) meets with Paul (left) of Ecuador and VE Group's Santiago Durango (right). Dekalb County forecasts spending $1.4 Billion for lateral pipe replacement over the next 20 years. 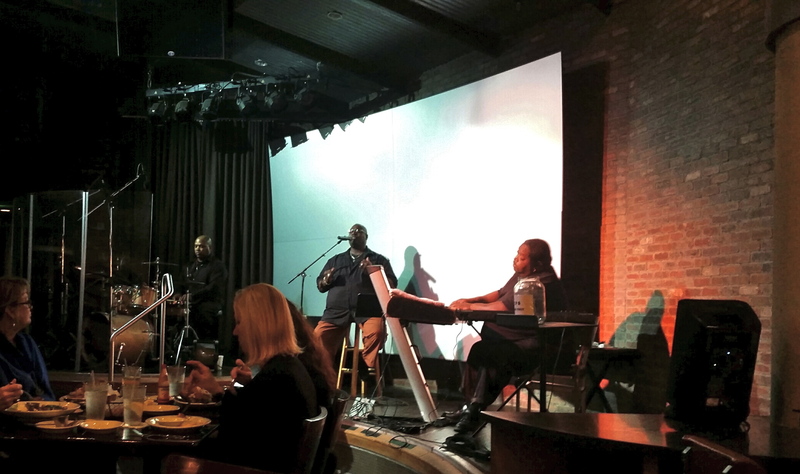 February 3rd through February 4th, TRIC Tools, Inc. participated in the annual Underground Construction Technology (UCT) Conference in Atlanta, GA. The UCT Show was held at the Georgia World Congress Center, 285 Andrew Young International Blvd NW, Atlanta, GA.
Michael Lien, Director of Operations, and Brennan Lunzer, Trenchless Pipe Bursting Sales Engineer represented TRIC Tools at the event. Both Mr. Lien and Mr. Lunzer met with the International Pipe Bursting Association (IPBA) representatives Tuesday evening after arriving in Atlanta. For more information of IPBA and how they can assist you with your pipe bursting specifications, please visit http://www.ipbaonline.org/. Mr. Lien and Mr. Lunzer attended a number of the Pipe Bursting Seminars to get a better understanding of the how different issues affect both homeowners and municipalities. "This was my first major show in the Underground Construction industry and I really enjoyed meeting some of the industry players and learning how big the rehabilitation need is," said Mr. Lunzer. He continued, "Dekalb County forecasts spending $1.4 Billion for lateral pipe replacement over the next 20 years." TRIC's X30 Pipe Bursting Unit took part in the "Rehab Zone" with live bursting demos. The Rehab Zone is a walking tour of an underground sewer, where the industry's technology is on display in a museum-quality, historical display of the infrastructure from the invention of the sewer to today's technology.This "Zone" is dedicated as an interactive “arena” enabling attendees to compare and contrast current technologies. The sewer system is amidst constant change and has come a long way since its inception. This walk-through exhibit focuses on trenchless rehabilitation including innovative technologies, installation techniques, live demonstrations, and opportunities for hands-on technology test-drives. On the last hour of the last day of the show, Mr. Lien and Mr. Lunzer" jointly presented John Rafferty's "Lateral Logistics." "Lateral Logistics" discusses how inflow and infiltration creates the need for lateral pipe replacement programs. Homeowners sewer laterals cause 50 to 80% of I&I, (Inflow and Infiltration) into the municipal sewer treatment system. With major rain storms, many of these same communities have been forced to release sewage untreated into public waterways. The "Lateral Logistics" discusses what some Municipalities have done to meet the needs of their constituents. The presentation also discusses how EPA 'Consent Decrees' have impacted communities replacement programs and how the development of lateral pipe bursting technology has assisted contractors to replace these lateral sewer lines. TRIC invented and patented the first practical Lateral Pipe Bursting System while simultaneously gaining national approval of HDPE pipe for its use, thus opening the market for trenchless home sewer replacement in America. 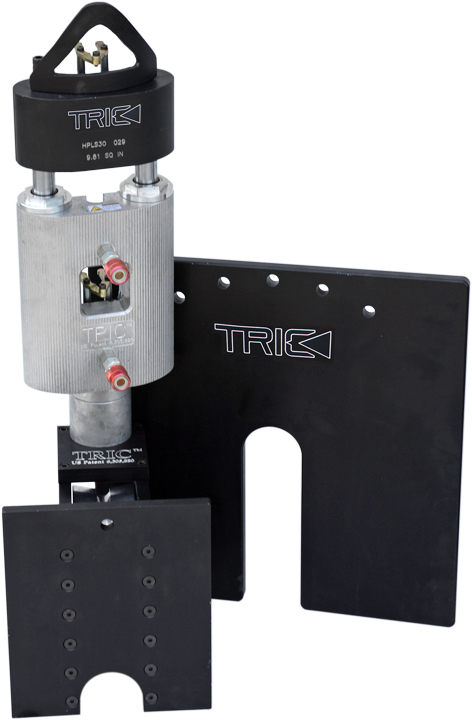 TRIC has since added municipal cable pulling systems to its arsenal, always employing their formula of modular portability, including pneumatic and steel splitting heads designed to replace various pipe sizes from 1/2" to 12" diameter. For more information about Trenchless Pipe Bursting equipment or the Trenchless Industry in general - please call 888-883-8742 or visit TRIC's website at: http://www.trictools.com to see how they can answer any of these questions for you. Get your Trenchless Sewer and Water Replacement off on the right foot, and help get you profitably pipe bursting.